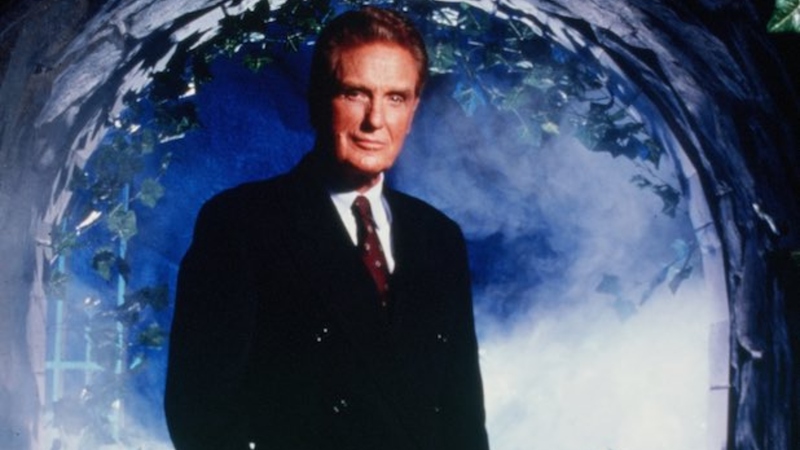 Between its haunting theme song and Robert Stack’s ominous storytelling, Unsolved Mysteries managed to maintain audiences’ fascination for more than 500 episodes between 1987 and 2010. And if you’re one of those fans — who has undoubtedly been missing it for the last almost-decade — you’re in luck. Netflix announced on Friday that it is refreshing the true-crime/paranormal series. Even better: Netflix is bringing in Shawn Levy, the executive producer of Stranger Things, to oversee the production. According to Deadline, Levy will be handling the overhaul in association with Cosgrove/Meurer Productions, the original production company run by the show’s creators, John Cosgrove and Terry Dunn Meurer. Co-executive producing will be Salem‘s executive producer Josh Barry. The reboot will feature 12 new installments in the same style as the original series: dramatic re-enactments, presented in documentary fashion, that focus on missing persons and phenomena with a suspected paranormal element. Each episode will tackle one mystery. Although family members, friends, co-workers and police were often interviewed in the original series, it’s unclear at this point whether the reboot will do the same. Of course, the most pressing question on fans’ minds is likely who’ll take over as narrator for the iconic series. Stack was the show’s narrator from its inception in 1987 to the end of its original run on NBC in 1997. After Unsolved Mysteries was canceled by NBC, it was picked up by CBS for two seasons and again in limited form by Lifetime in 2001/2002. Both of those runs also saw Stack as the narrator; however, he died in 2003. When Spike picked up the series in 2008, Dennis Farina was tapped as narrator. Not surprisingly, Twitter has a few ideas about who could fill Stack’s shoes for the latest incarnation of the show. If you're looking for a host, @TheRobDyke is perfect for the roll! Check out his series @SeriousStrange on youtube! If you like true crime and unsolved mysteries, youll love seriously strange! Regardless of who winds up in the hot seat, the timing is just about perfect for a reboot of this beloved show. True crime is a highly popular genre, thanks to the wild success of recent docuseries such as Making a Murderer, Wild Wild Country, Wormwood, The Keepers, The Staircase and Evil Genius. And perhaps the popularity of those series has been driven, or at the very least furthered, by audiences’ obsession with true-crime podcasts. Happy Face, Serial, Crime Junkie, My Favorite Murder, Dr. Death, Dirty John — the list goes on (and on and on). On the other hand, such a spike in true-crime programming means more competition for Unsolved Mysteries. Will it be able to capture its original magic? Only time will tell, but we certainly look forward to finding out.